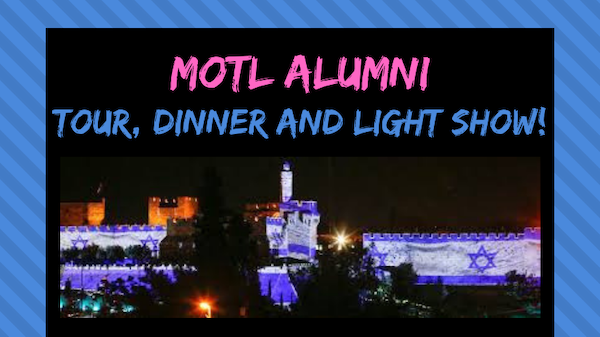 Seventy years after the end of World War II and 25 years after March of the Living (MOL) began bringing Jewish high school students and survivors to European death camps, MOL is employing the latest in 21st-century technology to help tell the story of the Holocaust. 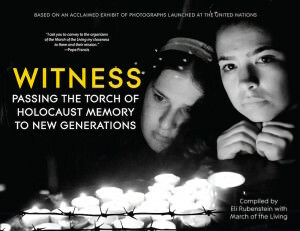 MOL recently launched a handsome coffee table book titled Witness: Passing the Torch of Holocaust Memory to New Generations, which records the testimony of survivors and the reaction of students to the terrible events of the Holocaust. Built into several pages in each copy are digital watermarks that users can scan with a smartphone or tablet and then view video testimony by Holocaust survivors. The free Digimarc Discover app allows readers to expand their experience of the book by viewing – or witnessing – the recorded first hand testimony of survivors themselves. 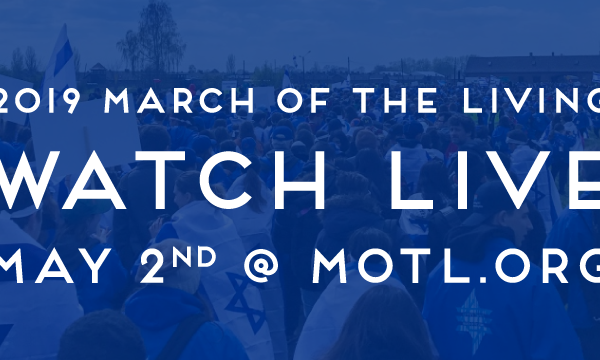 The videos are provided by Steven Spielberg’s USC Shoah Foundation Archives and MOL’s Digital Archives Project. The book itself is a treasure trove of photographs, poetry, commentary and history designed to enlighten a broad audience about the events of the Holocaust. Many of the survivors featured in the book are Canadian, including Nate Leipciger, Max Iland, Sidney Zoltak and Max Eisen. With 7,500 copies in print, there is also interest in translating the work into German, Spanish, French and Hebrew, among other languages, said Eli Rubenstein, national director of MOL Canada, who compiledWitness. In gathering the content for the book, Rubenstein raided the MOL archives for photos, taken both by professional photographers who were part of the MOL team as well as those taken by participants. He combined them with the poems of the young participants and added sections to provide a historical underpinning to explain the events that led to the murder of Europe’s Jews. Rubenstein believes that the underlying message of the book is a positive one, despite the grisly historic event that is at its core. “This book is about hope and making the world a better place. It’s not about hate or revenge. The aim is to heal,” he said. In addition to survivor testimony, the book includes sections dedicated to Jews who fought back – both physically through force of arms and through spiritual resistance – to liberators and to Righteous Gentiles. “No one survived unless someone helped them,” Rubenstein said. The book is based on an exhibit that premiered at United Nations headquarters in New York in 2014 under the title, When You Listen to a Witness, You Become a Witness. That exhibit, which is smaller in scale than what can be found in the book, will go on display later this month at the Schwartz/Reisman Centre at the Lebovic Jewish Community Campus in Vaughan. In a unique touch, the book opens with a message from Pope Francis, who expresses his support for March of the Living. In that, he was following in the footsteps of Pope John Paul II, who also supported the MOL initiatives of remembrance, Rubenstein said. Witness was officially launched at Congregation Habonim last month and is on sale at Chapters Indigo and online at Amazon. Negotiations are under way to provide a downloadable version of the book, Rubenstein said.